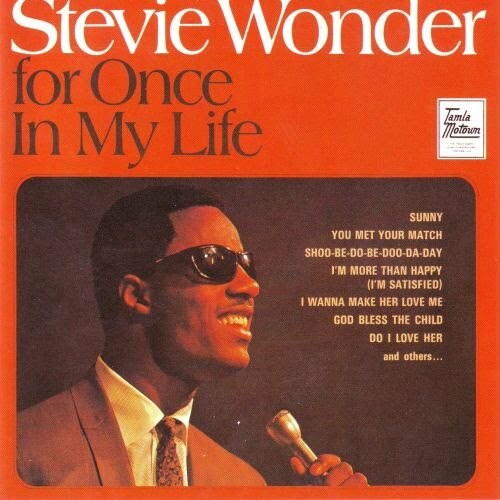 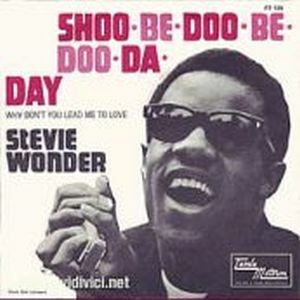 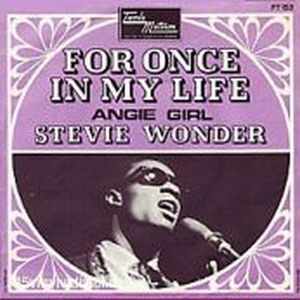 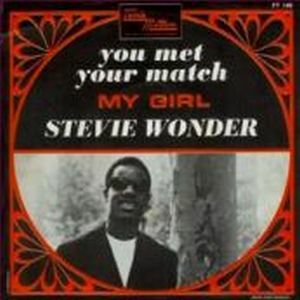 With For Once In My Life, Stevie Wonder gets three hits to put on the lists of sales U.S., songs like "Shoo-Be-Doo-Be-Doo-Da-Day" (nº1 lista R & B, nº 9 Pop), "You Met Your Match" (nº2 R & B) and "For Once in My Life" (nº 2 Pop and R & B) do to album the best from the sixties. 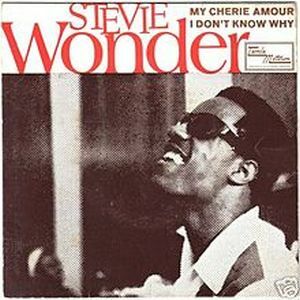 Most items are produced by Henry Cosby, but we can also find other produced by Don Hunter with Stevie Wonder, which is increasingly becoming in a artist more complete and versatile. 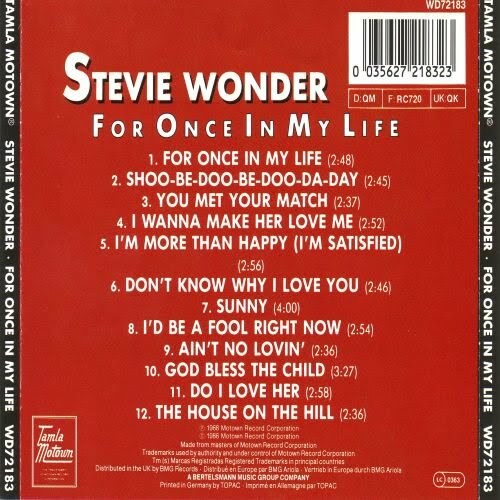 Once again, we have also in the composition of H.Cosby and Stevie Wonder, and a greater presence of Stevie's mother -Lula Mae Hardaway- in 4 of the 12 songs of this work.